The relationship between Rob Kardashian and Blac Chyna, a relationship so real it recently achieved sudden immortality thanks to Kanye West’s The Life of Pablo, appears to be working out pretty well for all involved. Despite alleged family fears of a relapse and a reportedly awkward kitchen encounter with Khloé​ Kardashian, the union of Rob Chyna (official couple name still TBD) has helped the formerly reclusive Rob regain his physical health in light of that recent diabetes scare while also serving as pretty awesome material for the couple&apos;s respective social media accounts. 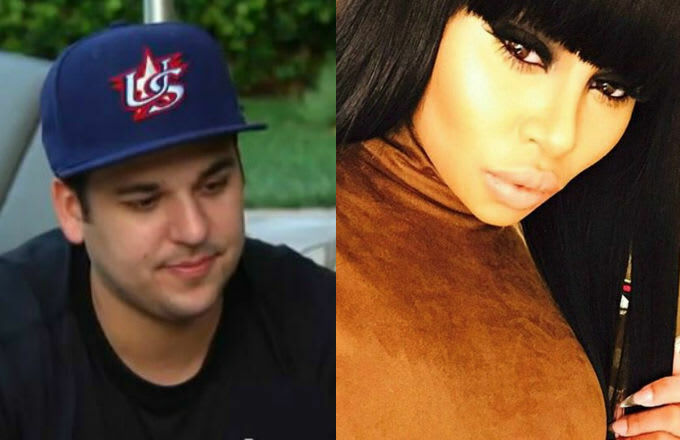 In fact, both Rob and Chyna are sticking to a pretty serious diet for the foreseeable future. According to a fresh report from TMZ, the couple has banned fast food and "cheat days" from their daily intake while maintaining an intense workout schedule. Rob, who has reportedly dropped 40 pounds since kicking off his Chyna-assisted fitness quest, reportedly hits the gym five times a week with a trainer and has completely axed both red meat and pesky carbs from his personal diet. In December, Rob Kardashian was reportedly diagnosed with diabetes after being rushed to a hospital. The diagnosis, according to sources, inspired Rob to start 2016 with his fitness in mind. Just one month later, Rob and Blac Chyna kicked off a series of now-confirmed dating rumors with a semi-romantic &apos;gram. Earlier this month, Chyna prompted even more romantic-er rumors having to do with things like engagement and marriage after rocking an allegedly massive diamond ring.